An amazing little black dress by Ninth Moon Maternity, these are a best seller. 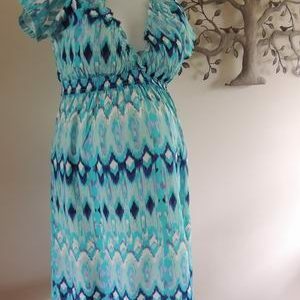 This dress features a square neck, and a tie through the back, allowing the dress to grow with you. 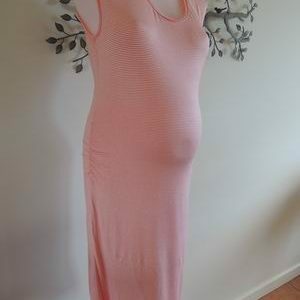 There are flattering pleats for your baby bump. Please note there is a tiny flaw in the fabric but it is barely noticeable. I am selling these at less than half price. 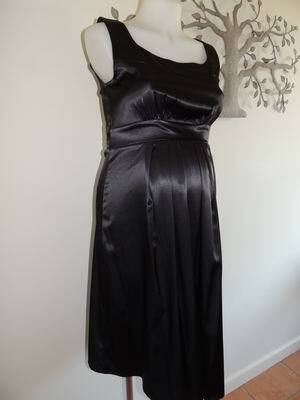 Be the first to review “NEW Black Satin Maternity Dress” Click here to cancel reply.